PSO2 Episode 4 Character Creation Demo Out Now! 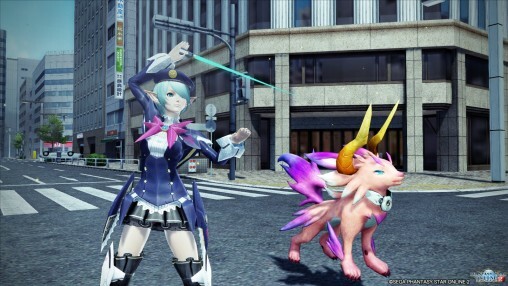 A new character creation demo has been released for Phantasy Star Online 2. This demo compiles the customization features included in the Episode 4 update along with the new [Tier 6] graphics settings. Experience graphics unlike you’ve ever seen before on the PC version, with beautiful skin tones and clothing textures. Pick out your favorite accessories and change their size, angle, and position. See your characters in action in a brand new benchmark cinematic where they face against the Phantoms. 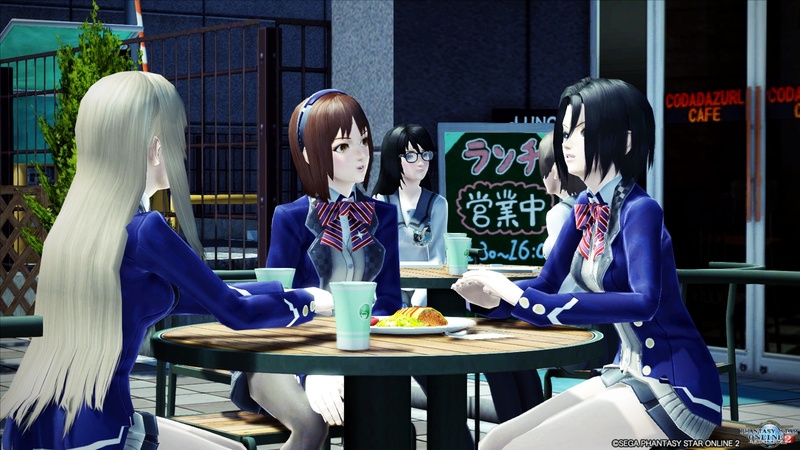 The character creation demo is available for PC users and can be downloaded at PSO2’s benchmark site. Press the big blue button that appears near the bottom of the link to download the file. ※In order to fully enjoy Tier 6 graphics settings, it’s recommended to have at least an [Nvidia GTX 950] or higher card (if the resolution is 1920 x 1200). Sweet, I’ve been looking for this. Thanks. I just hoping SEGA will make the Tech visual effect visible again to other player with that new graphics settings, at least put a toggle button for it. RIP my eyes. it’s like maidoll’s comic from when nab UQ was still new. practically need a welding mask to play in some quests. I don’t blame you lol. I tried the GPU benchmark, jeez half-flashy. I hate it in missions sometimes where the only way i know what i’m doing is my attack rotations i have memorized. Otherwise sometimes it’s literally an explosion of colors and my screen makes me feel blind. I know how you feel about that anyway, i`m on that phase too for a while before i miss those glory flashy moments after the effect gone from my eyes, so that`s why i`m hoping that SEGA put a button to toggle it. it has its own use like for my fire tech user where on that DF apprentice (Mining Base 4) i must decide between Should i use AIS or should i burn the Mega bug, since i can not count how much people on the party have the burning capability not on their AIS, except i got lucky enough to play with a teammate/friend like “okay i burn the bug and you got that AIS cannon ready” to make the Mega bug crisp as fast as we can, which is a rare thing to be happened due to time difference between our country. Those textures don’t really look “new” to me. It’s all bunch of post-processing, that you could already force onto your game externally. Right down to AA that leaves weird 1 pixel wide outlines on things. But with these settings, you won’t have to. The only thing I would probably force is Ambient Occlusion. Not to mention skin tones look washed out with the overblown contrast coupled with the sickly blue tinge. Eh, I’ll stick with settings level 5 and nvidia inspector. I think that’s more about Tokyo than the new shader. Tokyo is extremely washed out in the current game, too. I am betting it will look better in other fields. The self-shadowing, lighting, and terrain normal mapping (note: the latter is not demonstrated very well in Tokyo) are huge improvements and not something you can simply inject with reshade. I would know – I tried. It’s a shame they didn’t redo any of the models, though. Just texture and shader improvements. Still, it’s a noticeable step up from the base game. Except I didn’t notice any self-shadowing? Neither in benchmark nor in character creator. As for lighting and normal mapping I’m pretty sure vanilla game has that on maximum (5) settings. The characters hair, outfit and other accessories now cast a shadow on the character itself in the new High shaders (it used to be only shadows on the ground), pretty sure this wasn’t in Standard shaders. I think this is what Zyrusticae meant when s/he said Self-Shadowing. Problem is if you force AA through nvidia inspector, depending on compatibility bit new shadows can break and not display properly. Resetting nvidia setting to defaults fixed it. Now I just hope that it is possible disable over-saturation and excessive HDR. Could you please direct me to an inspector setup that does selfshadow and multilightning? Thanks in advance. Guess it’s better to uninstall the previous C.C before installing this one. I’ll try tomorrow. abut the File how to use it? Um, can there be instructions on how to install this? The jp page instructions translated, end with “Please specify the destination folder. After you complete automatically install work.” … It’s saying it should automatically work? Does it matter where I put PSO2CHARACTERCREATOR_EP4_SETUP-1.bin? I just put it in downloads. I also tried putting it in the folder that was created in Programfiles(x86)>SEGA>PHANTASYSTARONLINE2_CHARACTERCREATOR_EP4. But when I click to open it, VLC says “VLC could not identify the audio or video codec” and I don’t imagine it’s just a problem with VLC.. Please? Can anyone explain what to do? After you run the installer (PSO2CHARACTERCREATOR_EP4_SETUP.exe), there will be a shortcut on your desktop for the Character Creator (PHANTASY STAR ONLINE 2 キャラクタークリエイト体験版 EPISODE4). There is no reason to be using VLC as this is its own program, not a video file. So, finished to try it some minutes ago. I really wish we could see this in some other fields. Tokyo is insanely brightly lit; it’s hard to appreciate some of the changes in that environment because the lighting washes them out. I can somehow run level 5 graphics just fine on my integrated Intel 4600 card, but I sure as hell can’t record it with OBS without it being VERY choppy. …That’s a good score right? Nice, so PSO 2 got some new grahpic settings upgrades. Does this mean that PSO 2 will have new system requirements now? No, you’re still free to use Stage 1-5 graphics if your computer cannot handle Stage 6. And in theory, if it’s already installed on your PC, it will stay on the same settings as it already is if you don’t change anything.